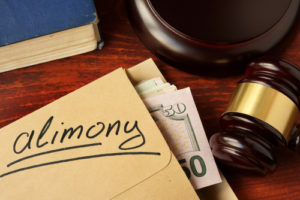 Once spousal maintenance (i.e., spousal support or alimony) is ordered or agreed upon in a divorce case, it can be changed in the future – unless the parties specifically agreed to not be able to modify spousal maintenance in the future as part of their final divorce decree/settlement. To clear up the facts about modifying spousal support payments after divorce, below are some FAQs. You can also contact an experienced Scottsdale divorce lawyer at the Law Office of Karen A. Schoenau for specific answers pertaining to your situation. Q – How Do I Start the Process of Modifying Spousal Maintenance? One copy will have to be delivered to the judge for review. You should receive an Order to Appear within a few weeks. If the judge orders a hearing in the case, you have to make sure to serve the other party with a copy of the papers (i.e., all of the papers submitted to the court). Q – What Are the Circumstances Under Which the Court Will Grant a Modification of Spousal Maintenance? Gets demoted or experiences a significant pay decrease. Loses or becomes responsible for additional health insurance coverage. Sustains a new impairment or disability. Is diagnosed with a new condition or illness. Q – When Does Spousal Maintenance Usually End? A – In general, spousal maintenance ends when the person receiving the payments remarries. Also, these payments will end if either party dies or upon some other predetermined event (as agreed upon in the divorce settlement). There may be other situations in which it’s reasonable to request the termination of spousal maintenance, and an experienced Scottsdale divorce lawyer at the Law Office of Karen A. Schoenau can help advise you regarding whether this is an option for you. Q – Can I Just Stop Paying Spousal Maintenance While I Wait for the Court to Issue a Ruling for My Case? A – No! Don’t stop making payments without an official court order permitting some change in these payments. Do you need to modify spousal support in Arizona? If so, you can rely on Scottsdale Divorce Lawyer Karen Schoenau for honest answers, effective representation, and the best possible outcomes to your case. To receive professional advice and learn more about how we can help you, schedule an initial consultation with Attorney Karen Schoenau. You can set up this meeting by calling 480-467-3435 or by emailing us using the drop-down contact form at the top of this page. From her offices based in Scottsdale, Attorney Karen Schoenau represents clients throughout the metropolitan Scottsdale area, including Scottsdale, Mesa, Surprise, Maricopa County, Pinal County, Gila County and throughout the state of Arizona.